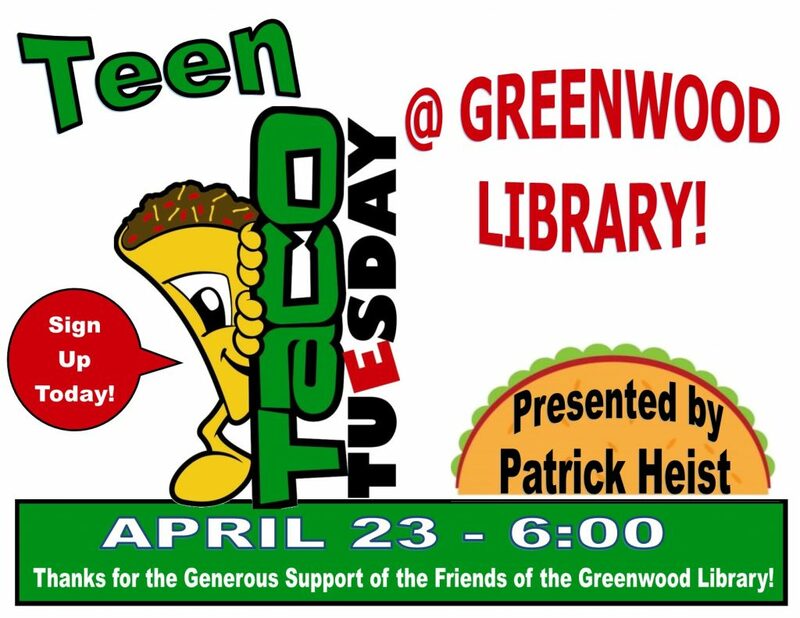 On select Tuesday, starting at 6pm, the Greenwood Library will be filled with the enticing scent of tacos being prepared in the Meeting Room. Teen taco fans ages 12+ are invited to a special evening featuring this wonderful Mexican dish prepared by Patrick Heist. Register today and be sure to come hungry while learning how to make tacos at home. Register by calling 349-5309 or click below to register for specific dates.